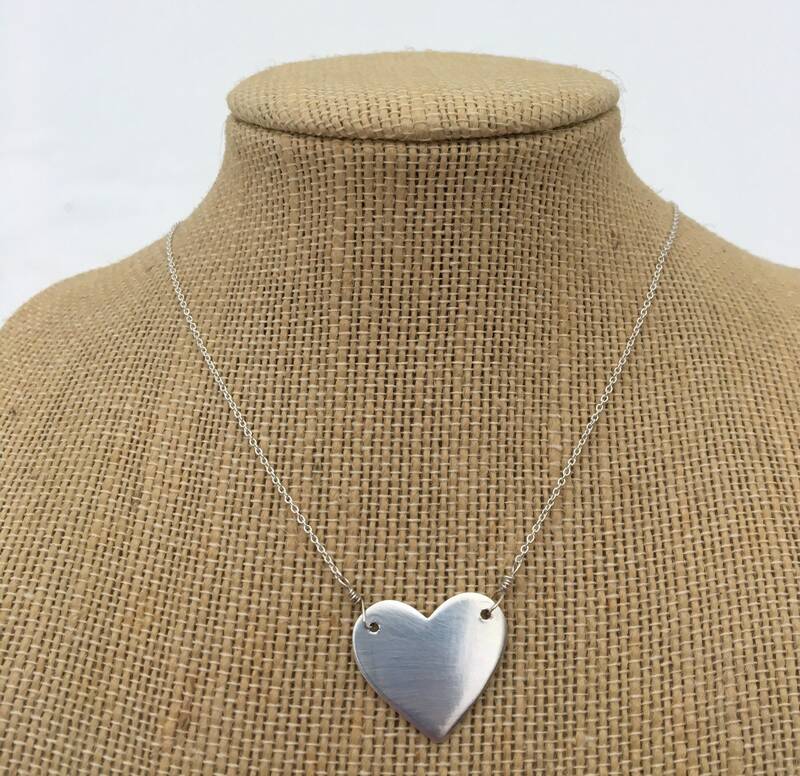 This sterling silver heart necklace is the perfect piece to wear dressed up or down! 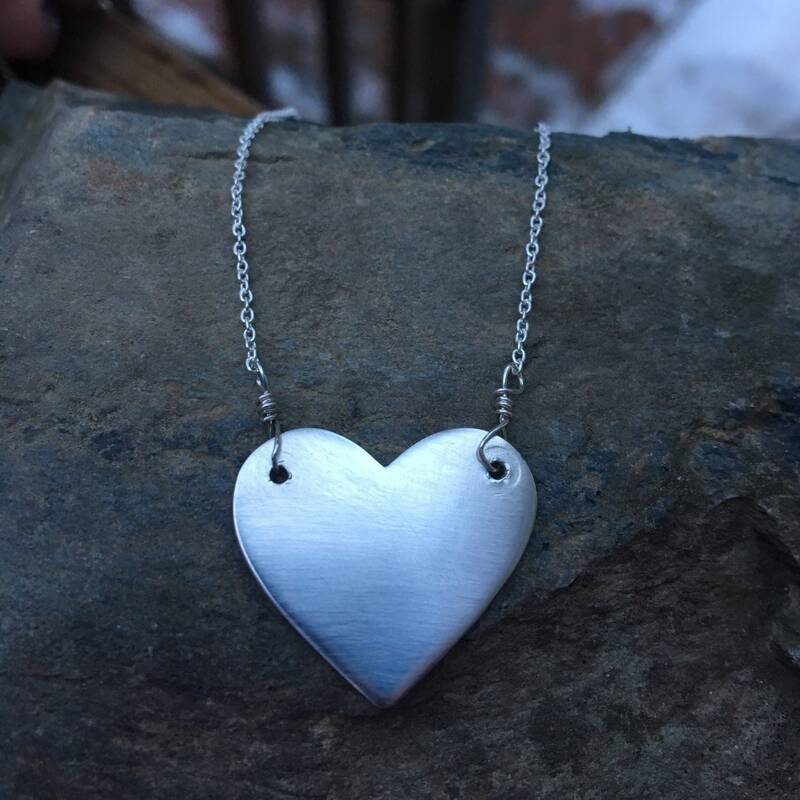 The heart has a brushed finish in the front & back. 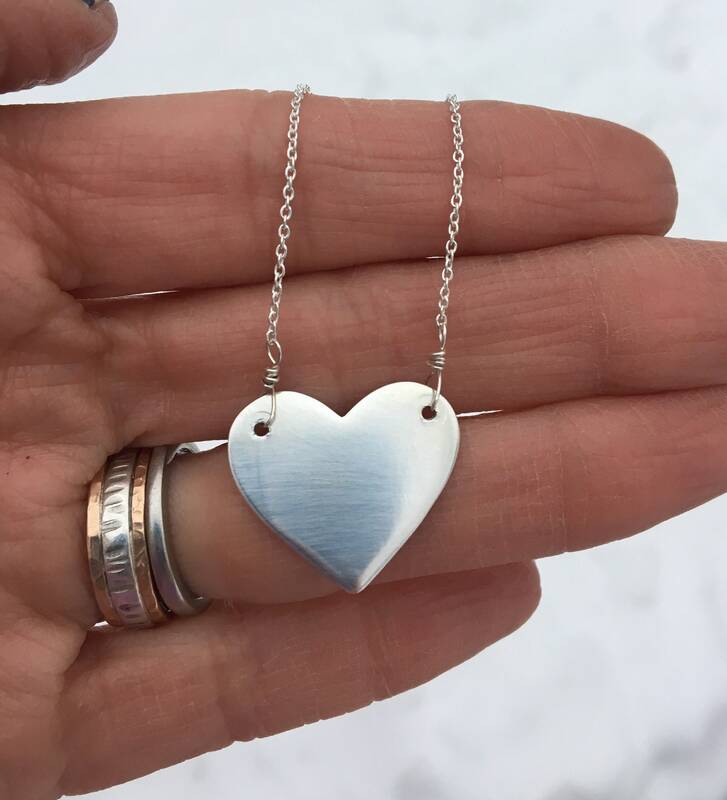 I attached a 2” adjustable chain to this necklace. 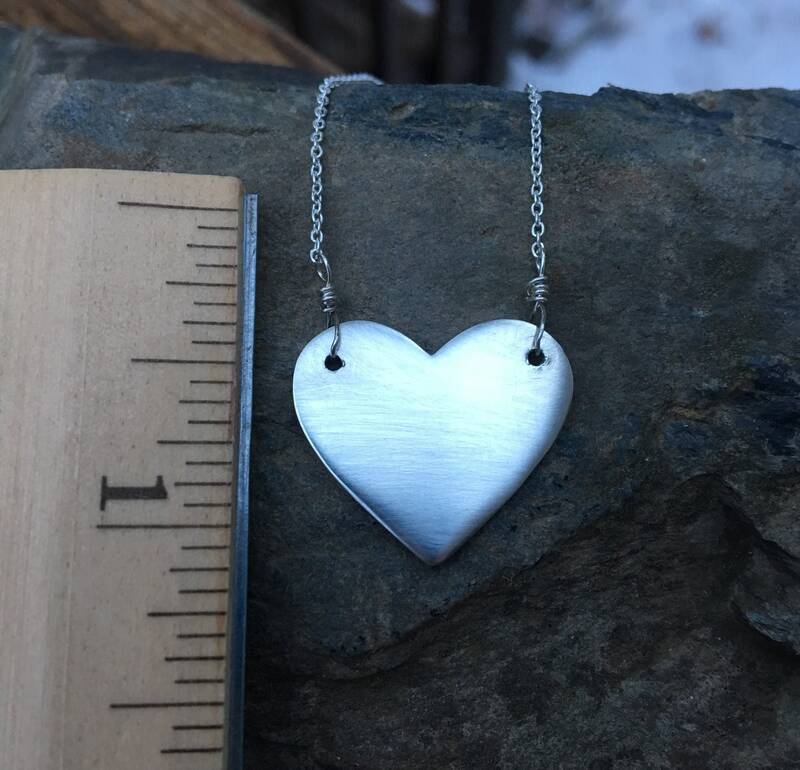 I also handcrafted a small heart that is attached to the extension chain. Choose between 16” + 2” extension or 18” + 2” extension. 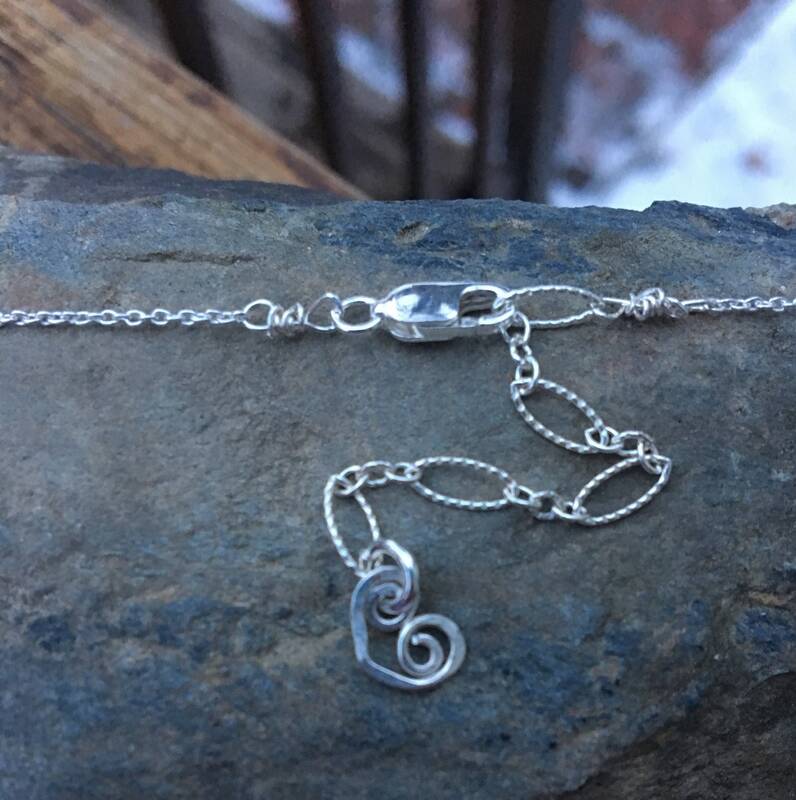 All sterling silver. See pictures for size/dimensions.